As a woman, I love SHOPPING & in the past I have plenty of time to do shopping. 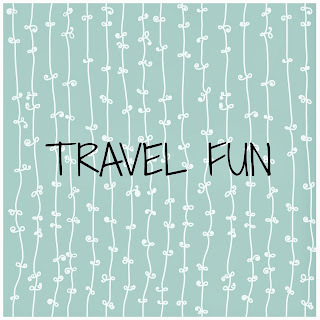 So when I became a mother of three kids, you can imagine the amount of time I have left to do shopping physically and the thought of bringing 3 kids to go shopping can be quite a nightmare to me at times. 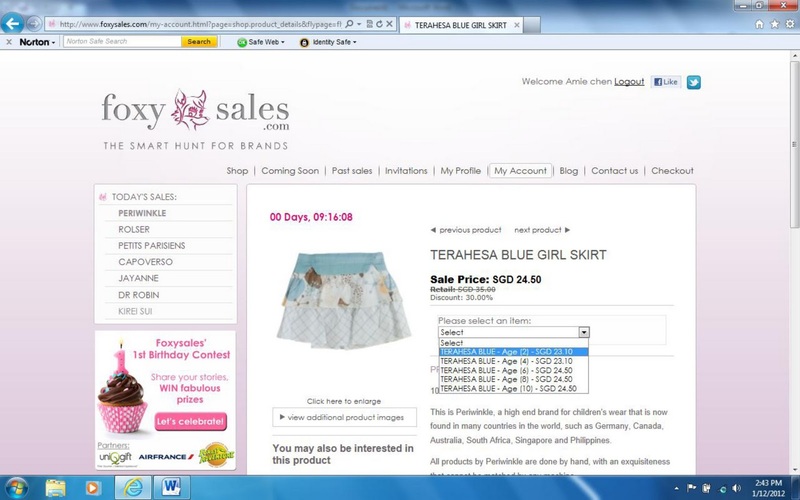 Therefore, Internet shopping became one of my most convenience tool to source for my own stuff & my kids’ stuff. 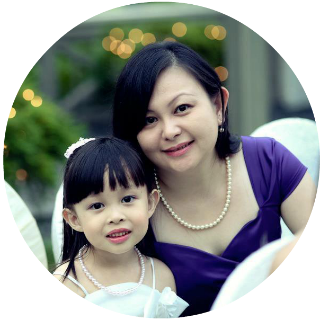 Since Chinese New Year is approaching, I would like to introduce you an online shopping website. Foxysales.com is a website that caters to busy parent like you & me who enjoys shopping during our spare time at the comfort of our home. 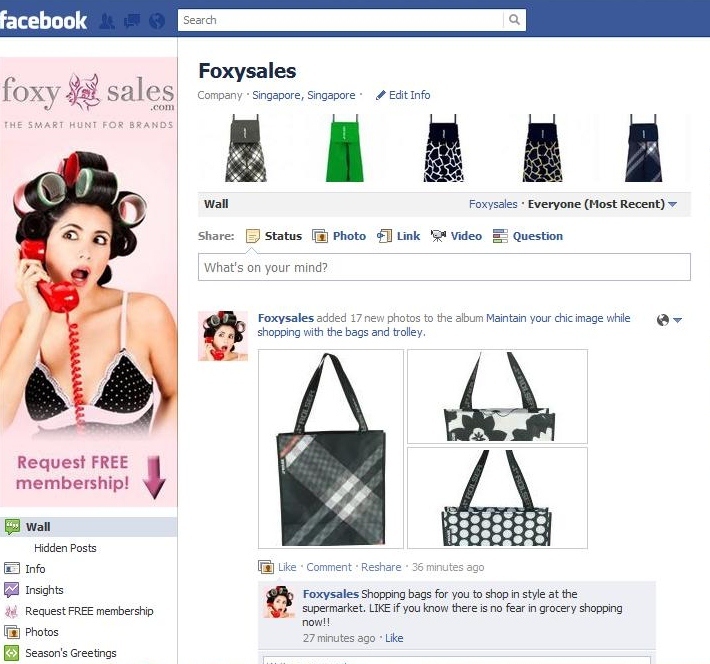 Foxysales offers brands that are available locally but also overseas brands not available in Singapore, which is good in a way that you won’t be afraid to find too many people wearing or using the same stuff as you while walking along the street. 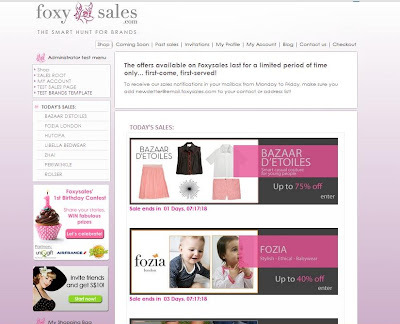 If you are not familiar with the brands, Foxysales even maintains a blog to provide more information on the brands & sale for members. Furthermore, Foxysales offer huge discounts (up to 80%) exclusively for members & membership is absolutely FREE. All you need to do is just register at their website & you can become a member instantly, no hassle at all! You won’t miss out on their latest sales because Foxysales will send a newsletter out everyday for information on sales and instant updates on the Facebook too. 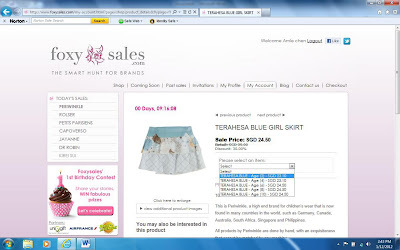 After all I have not forgotten to do my own internet shopping at Foxysales & I chose a very nice blue skirt from Periwinkle for my daughter. Hopefully it will be a nice surprise for her!